I attend hundreds of business networking events every year. I’ve been a member of 4Networking since 2007 and prior to that, was a member of BNI from 2006-2007. I speak to many audiences about business networking, and have written two books on networking (and started on my third, more on that another time). People tell me, very regularly, that they are really frustrated because they’ve been really successful in one networking group, but they’ve then joined another and it just doesn’t work as well for them. 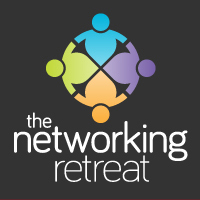 This isn’t just about BNI or 4N, people relate it to me about all sorts of networking groups. There can be loads of reasons why this is the case. But one reason, which comes up time and again, is that people are attempting to use the same approach everywhere because, after all, it’s networking right? It’s all the same surely? It is incredibly important to work out the structure and culture of each networking group, and then adjust your approach accordingly. It is MUCH easier to simply do the same thing everywhere and, as with an awful lot of business marketing, the opportunity lies in the fact that most people won’t bother to change their approach, so those that do will stand out. One of the most obvious parts of many networking groups is the 40 or 60 second introduction. I would absolutely, thoroughly, strongly recommend using a different intro for different styles of networking. I’m going to be pretty specific about this. As I write, I haven’t been to a BNI breakfast since 2007, so by all means shoot me down if my knowledge is out of date. At BNI, the point of your 60 second introduction is to educate the other attendees as to what your business does and what type of referral you are looking for. The more specific the better, as specificity helps the other people in the room to picture which of their contacts they should refer to you. The introduction is then backed up by BNI’s culture of members generating referrals for each other, as well as the structure of the meeting which has a section for referrals. The 40 second introduction at a 4Networking meeting should, in my opinion, be used to encourage the others in the room to want to have a 121 with you. You aren’t immediately canvassing for referrals, you are giving people enough information about your business to entice them to want to find out more. The 4Networking meeting structure has the three ten minutes 121s as part of the meeting, your 40 seconds is your advert to get people queuing for a 121 with you. I’m less familiar with other networking structures, but if you’re going to attend somewhere regularly, get to know the setup, structure and culture as quickly as you can, and adapt your approach to take best advantage of it. A networking meeting is (in this context), after all, simply a group of other business people. The structure of each networking organisation will make a difference to how you choose to use your 40 or 60 seconds, but, no matter which organisation it is, remember that your introduction should be the start of the conversation, and not the start and conclusion of the conversation.